THE DIRTY ARMY: Nik, I wasn’t sure what to do, do I stop and bow? Do I salute? No too formal, maybe I pretend to pick a flower or something? 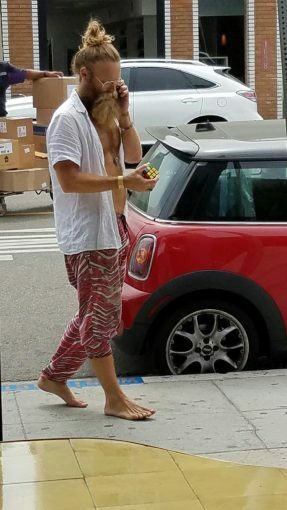 I’m not sure the proper protocol, but I’m certain I saw the Hipster King today. No body guards, impressive. He looks like a chocolate-dipped ice cream cone from Dairy Queen.